When you hear “taste the rainbow,” you might think of a popular candy slogan. In the world of healthy eating, though, this tagline is actually a great rule of thumb for eating a nutrient-dense diet. With candy, different colors usually signal different artificial dyes, but with natural produce each color comes with its own nutrition profile. At Local Flow Health Bar in McMinnville, we are committed to simple, clean eating without the pretentiousness. Eating foods from different color families is one of the easiest ways that anyone can start living a healthier life. Read more to find out the particular health benefits of each color, and stop by Local Flow Health Bar today to fuel your lifestyle. Carrots are probably the first thing to come to mind for orange vegetables, but you can also include sweet potatoes, squash, corn, mangoes, cantaloupe, yellow and orange peppers, pumpkins, etc. into this category. Foods from this color family encourage the body to produce vitamin A, which in turn promotes eye health, skin care, and immune responses. In addition to vitamin A, orange and yellow foods provide vitamin A, potassium, and folic acid. These nutrients maintain healthy blood pressure levels and general well-being. The next time you stop into Local Flow Health Bar, consider ordering our orange-based juice with orange, carrot, turmeric, and cayenne pepper for a whole-system jump start. Perhaps the color most associated with healthy eating, green foods are an excellent source of calcium, iron, vitamin A, and vitamin C. Dark leafy greens, like spinach, are an especially good source of iron and other imperative nutrients. A lot of people see green food and assume it will taste like some variety of dirt, but green food can be delicious in addition to nutritious. Think about grapes, pears, kiwi, apples, asparagus, green beans, etc. Green food doesn’t just mean you’re eating blended spinach. Try one of our green fuel smoothies or smoothie bowls at Local Flow Health Bar and we will show that green food is a staple of healthy eating and delicious. The pigments from blue, red, and purple foods give your body a range of antioxidants, thus maintaining heart health and memory function. In addition to antioxidants, red foods like beans are protein-dense and a more affordable, sustainable option than eating a lot of meat. Depending on the type of blue, red, or purple food, you get other vitamins as well. Strawberries, kidney beans, and beets, for example, are loaded with folic acid and fiber, just as most red fruit packs a lot of vitamin A. At first it might seem weird to drink juice with beets in it, but this ultra-red root vegetable reduces inflammation, has fiber, and is loaded with other necessary vitamins. Give it a shot today at Local Flow Health Bar in McMinnville. Healthy eating does not need to be overly complicated or pretentious. One of the best ways to incorporate nutrients into your diet involves choosing foods from different color families. 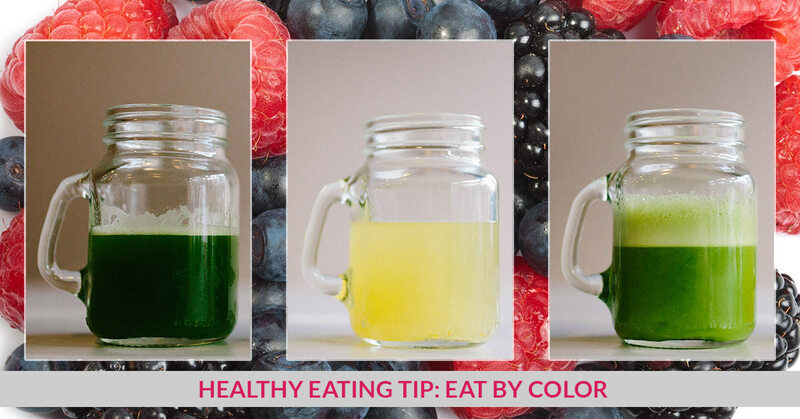 The next time you are at the grocery store, challenge yourself to grab a few items of each color. Visit Local Flow Health Bar today for sustainable, nutrient-dense food!